Microsoft Excel isn't only for spreadsheets. It can also be used to create art. Don't believe me? Just ask 73 year-old Tatsuo Horiuchi. He'll tell ya. But why Excel? 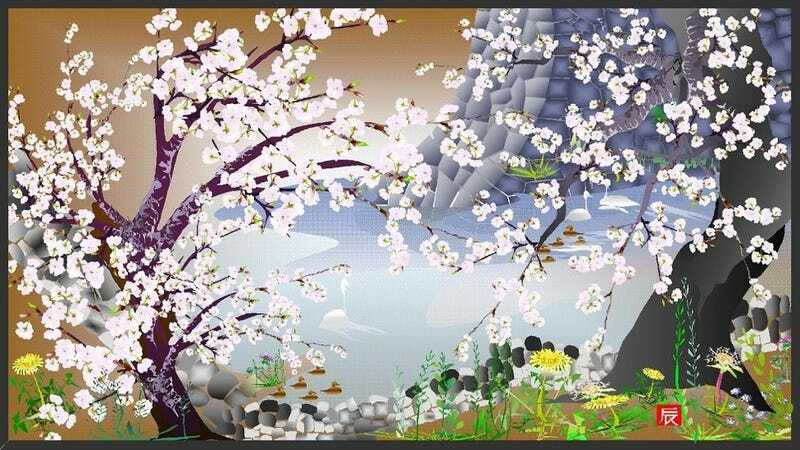 "Other specialized graphic software is expensive, and Excel came pre-installed in PCs," Horiuchi told Japanese website PC Online, adding that he found the program easy to use and more capable than actual paint. The retiree said that he didn't use Excel at his job. "I saw other people neatly drawing graphs, and I thought it seemed like Excel could be used to draw art." Before he retired from his company, he felt like he wanted to do something new, bought a computer, and started using Excel. And in the last ten years, he has established himself as a digital artist, showing his work in exhibitions. Other artists have used Excel to draw and paint in, sure. However, how many of them are senior citizens creating traditional and stunning Japanese motifs? Not many!